My awesome co-hosts today are Murees Dupe, Alexia Chamberlynn, Chemist Ken, and Heather Gardner! Last week my blog post was Does Going Through Crap Make One a Better Writer? While tragedy and strife add to our experience, you all agreed that empathy was the quality most required. And yes, I have to agree. Experience is good, whether it comes from age, variety, or being well-traveled. (I’m blessed I’ve lived in so many places.) But being able to empathize with those going through a struggle is very important. Thanks to everyone who responded last week! Now, be sure to visit other IWSG members. Now sure what film critics saw. I’ve never read the comics – maybe the movie didn’t jive? Regardless, I don’t get it. Because I enjoyed it. If you liked the last two X-Men film, you’ll like this one. It brings back favorites and introduces new twists. One thing this trilogy does better than the first trilogy is depth of character, especially with Magneto. Special effects – amazing. 3D all the way if you want the full effect. Once again, Quicksilver steals the movie. His prime moment is the stand-out piece of the film. Only complaint is the length. It could have been shaved by fifteen minutes or so. A lot has been said about the last twenty minutes of the film, but I thought it was great and very exciting. If you dig superhero movies, it’s a no-brainer – go see it! Sylvia Ney posted about Southern Writers Magazines’s short story contest. For more details, visit their SITE. Black and White Publishing Company is now accepting flash fiction for their UBooks. See their submission guidelines for details. The first was an unpleasant surprise. This one will also be unpleasant but it won’t be a surprise. The first was a pleasant surprise. We’ll see if the second one can scare up a good time. The first was a pleasant surprise. We’ll see if the sequel retains the magic. The game was a pleasant surprise. The movie looks like a generic mess. Finding Nemo was a pleasant surprise. We’ll see if Dory sinks or swims. The first was a ridiculously over-bloated surprise. Pretty sure this one will at least be over-bloated. Anyone else pleasantly surprised by X-Men? Get any of the trivia right? What movie catches your eye for June? And what is your insecurity this month…? I hope the Dory movie is as good as Finding Nemo! Hey, look! First to comment! Didn't get to see X-Men in the end, so will wait for the home video release now. I actually enjoyed the first Turtles pic, so am cautiously optimistic for this one. I love the original ID4 and am quite pumped for the sequel... although I fear it might suffer from a surfeit of CGI special effects! I like the X-Men series of films, probably not enough to go to the cinema to watch them, but I'll catch it on DVD or online. I am looking forward t Warcraft though, that does look a good flick. Always something for everyone on your post Alex. Loved the film reviews and of course the books. The only films I watch are ones on TV since I gave up on the cinema many years ago. Saying that if Danny Boy was to make a film perhaps I may be tempted. I really wanted to go and see X-men, but me and my fiancé are a little short on money this month, so proabbly going to wait and buy the DVD later in the year. My sister enjoyed it though. Can't wait to see Finding Dory! I like Liza's comment. It was interesting to read people's thoughts on this topic recently. Now I must go write my IWSG post... I'll have something up later... maybe it's a good sign that I haven't written it yet as I haven't really any 'new' insecurities writing wise. I haven't seen the movies, but I'm reading your reviews with interest. Last week I was asked to review my first book. I see a parallel between movies and books reviews. Both may influenced someone to see the movie or a reader buy a book. 1. Can I write a review that does the book justice? 2. Can I get the medical help my husband needs? I'm so looking forward to Conjuring 2! I loved the first one. I really, really hope they don't blow it. X-Men was one of the movies they showed on our recent cruise. As for the trivia, I can't believe I missed Shrek - I didn't think outside the box. Welcome back. Hope your weekend was good. I'm in two minds about X-men. I love the franchise and it was my favourite cartoon as a child but some of the casting in the last three movies has really gotten on my nerves and is making me not want to want it. Sad. More my problem than theirs really. I'm excited to see Finding Dory and I think it's going to be a blockbuster hit. And I hope The Conjuring 2 does as well as the first. My friend was the production assistant on the first and it was filmed here in Wilmington and was a huge boost for our local film industry. Thanks for the flash fiction tip. Our writers group here in Madrid was talking about flash fiction markets last night. I'll share this. Congrats to those with new releases. I thought X-Men was good and the special effects amazing. I'll probably give Warcraft a look just because of Travis Fimmel (enjoyed watching him in Vikings on the History Channel). Wondering about Independence Day: Resurgence, but will probably watch it too. I was finally able to pull myself out of my funk enough to see Captain America: Winter Soldier. I was actually planning to see Angry Birds on this matinee and Cap later in the week regular price. But in a twist Angry Birds sold out early and I was not staying home so I saw Cap finally. Movie blew my mind. Plan to see X-Men soon and yes I want to see TMNT2. I know it won't be gold but I had fun watching the first one at home. At least the actors playing the turtles can't be blamed for any of the mishandling. NYSM2 will be a surprise in some way. Hopefully it will be all positive. Finding Dory should do swimmingly. The animated summer movie I'm pumped to see is Secret Life of Pets. Hiyo to all featured today and much love Alex. Watching X-Men is on the to do list. I didn't go near the theaters over the weekend. I did rent Everest and it made me wonder what is the driving force that makes people go on this expedition? To reach the summit the highest point on earth. Is it worth your life? I am reminded that we all have this inner force that compels us to do certain things in the journey of life. Could it be an inner calling? I haven't decided whether I will see Independence Day:Resurgence. Ok, "Have a Wonderful Day! not sure where day went..lol..
X-Men and finding Dory are two of the ones mentioned by Hank's grandees. Perhaps they get to see them first. Hank will wait for the online Inflix whenever they appear. Did not get any of the Trivia though! Liza at Middle Passages is so right. Great Comment. I'm going to the movies with a group of girls this Friday. I'm more of an action packed type girl whereas they like girlie movies. I'm outvoted... :( But hope to see X-men soon. I did like the first Independence Day! I agree about Now You See Me 2 Alex! Great quote from Liza. So agree. I just saw Money Monster (think that's the title) with George Clooney and Julia Roberts. I know it released earlier than June, but it was really good. I don't go to the movies much but was glad I saw this one. Yeow! Look at that. A quote on the master's page! Thank you, Alex! A little something to help me with my insecurity this month (and beyond...) I for one, am rooting for Dory (based on how I write, are you surprised?). Nemo WAS a pleasant surprise, so fingers crossed for "Just Keep Swimming..."
Deniz, I'm sorry. And yes, you are first! Tim, looks like an overload of CGI this time. Yvonne, you'd have to see it. Suzanne, that is a good sign. Lynn, really pray the second one is a yes. Rhonda, I knew the two animated films would throw people. Viola, I liked the Superman v Batman as well. It had issues but still delivered for me. Sheena-kay, wasn't Civil War awesome? Best movie so far this year. Truedessa, I'm just not one of those driven people to risk death climbing a mountain. And I can have a wonderful as well! I agree, it's not necessarily experiences that make us better writers, but being able to empathize with those experiences, good or bad. We liked Xmen, although I thought the linear approach to telling the story left something to be desired. Not saying it was bad, it was just linear. *shrugs* I've been spoiled by the Avengers series and the depth of writing that goes into those films. There are quite a few films I'm excited about this summer, and so many we'll wait to rent. That's always the way, eh? I love a good ghost story, so I'm excited for The Conjuring 2. Plus finding Dory. I still remember seeing Ellen DeGeneres perform live in a comedy club in ABQ almost 25 years ago. She is too funny. I'm up for The Conjuring 2 and maybe a couple of others. Recently saw The Witch - ugh, stopped watching it - and Sicario - eh, my husband enjoyed it more than I did. I can't wait to see X-men with my boys! I've been told to ignore the reviews because it's really good. Glad you agree! I have heard terrible things about X Men Apocalypse. I love all the other movies, but, like you, I have never read the comics. I'm looking forward to seeing it, although it probably won't be until the DVD release. I don't really get the chance to go to the cinema these days. Empathy is a necessary quality for a writer, true! Imagination too! Can't wait to see the X-men, just watched the last one yesterday. So many good movies and Tarzan?! Just saw the trailer. Great quote from Liza! I'm always trying to have more empathy. Wow, that's a whole lot of sequels or remakes or other stuff. I've got a soft spot for Independence Day though, I think being so OTT made it in a weird way. I would watch the new one! I think you're right on the money with empathy being the key ingredient needed. And that is a beautiful quote from Liza. No, no movies I'm hankering to see at the moment. You always know how to cheer us up, Alex. Thank you. My family loves superhero movies, so I shall be seeing X-men if I want to or not:) I appreciate a good movie. There's a new Independence Day movie coming out? Really? I must have been living under a rock because I didn't know that. Also, Finding Dory could be fun. Have a great week/weekend Alex. Megan, I played the original games before it became online only. Madeline, I did like Sicario. Jennifer, yes! Ignore the reviews. I think going through crap can help the writer, but mostly because it prepares them for all the hurdles they have to beat in order to be successful at it. I'll see if I can get my family to see the X-men movie. Is it worth watching if you have seen the first two of the series? Yeah, it was way better for a 3rd in the trilogy than that X3 mess. Some fun ones this month, hopefully Independence Day is just as overbloated and fun as the first. Liza's comment rings loud and true, it's the tortured artist syndrome. I may not have that drama in my life any more, but I can still draw on it. Thanks for posting my book release, Alex! I really like that quote from Liza. Finding Dory should be a cute movie. Your snarky comments made me laugh. I got 6 out of the 7 trivia questions right. I think that's a record. Off to do IWSG visits. Have a great rest of the week! "Turtles" movies never appealed to me. Warcraft maybe, but not a gamer so does that help or hurt? Lisa does nail it with her quote. Most likely I'll end up seeing "Finding Dory." That writing contest looks like something I might enter, but 1500 words! Oh, the pain of brevity. I'd like to see Conjuring 2, but will probably wait for Redbox on that one. I did watch some YouTube videos on the case. My family will want to see Finding Dory. We're already buying mini-figures. I can't believe the amount of money I've been spending on little bits of colored plastic and rubber over the past two years between Minecraft mini-figures and Shopkins. Insanity. I am ALL about Finding Dory! I can't wait! The previews for the Mutant Turtle movie have seemed kind of interesting, but on the other hand I haven't paid much attention to those trailers either. Just seen them on the periphery of my attention span. Probably won't be seeing this one or many if any of the other movies. Maybe the Independence Day Recycled film since I usually like Emmerich's over-the-top effects and nonsense. So many movies with "Apocalypse" and related things in the title of late. I wonder if we are being prepared for something? I haven't seen X-Men yet, but I really want to. I enjoy all of the X-Men movies. We're too far away from a theatre to see anything. I'll have to catch up when they're available online. Sadly. Great to see Lori's Book everywhere. Happy IWSG, Captain. Hi Alex! I'm one of those people holding off seeing this one. I'll probably wait for it to come to the dollar theater. I did the same for BvS. Although I actually ended up enjoying BvS more than I thought I would! I've sometimes wondered if I'm a sociopath because it's tough for me to be empathetic at times. I admire those people who do have more empathy than me. I'm going to go watch Warcraft on release day. I used to play WoW over 5 years ago and my old guild mates want to get together to do pizza and a movie. We're up to almost 20 people. I'm not sure how much of the movie I'll relate to, since I never played Warcraft, but I figure my husband can fill me in on the details since he did. My choice from that list of movies is "Finding Dory!" Might try Independence Day. Sometimes a little bit of ridiculous is just what we need to make us giggle. Giggling is good. I didn't see the X-Men movie. I'll wait to rent it on TV. I'm looking forward the Independence Day, bloated or not. I am finding I enjoy movies more and more in my own home. Ken, you might miss a few things. Have you seen the other films? Lori, you're welcome, and you did good on the trivia. Lori, I think you'll be able to follow the plot. I loved Liza's comment, it was absolutely on the spot where writers and life's experiences are concerned. Its been a long time since I have watched a movie, right now I am just wading through my sky-high TBR pile of books. Hoping for Dory and Independence Day to be great... we shall see. Wanting to see Through the Looking Glass. Have you seen it? Liza's comment was spot on. I think the X-Men movie looks good. Sometimes the critics don't know what people like. I am learning that experience can be good for writing, but if it is bad it can also delay that writing. I guess that is life. I am waiting to see X-men. I guess being a comic fan I have not really been too happy with them. I might just wait until DVD. I am actually really excited for Warcraft. Loved the game and the nostalgia is strong with this one. I loved X-Men, and I agree with you on the depth of character presented in this trilogy and with this last in the trilogy. I thought it was well done, and I wouldn't shave any time from it. Way to go, Lori and Jack!!! (And for me, I will go see TMNT anyway, since I read the original, black and white comic book I've been a fan of the cheese and the silliness. But, I will see it a cheap (half-price, a month late) theater. Ah, I wish I could make such awesome comments like Liza and so many others. I love Liza's thoughtfulness. I'm more of a stop and wave wildly kind of comment-er. Does someone need a surprise? Do you have a birthday coming up or something? I'm not too keen on any movies coming out. I'll probably see Independence Day just because I'm curious to see how it holds up to the first one. I never hold out much hope for sequels. As for insecurities, I'm doing pretty good this month. Posted about some rearranging and getting re-inspired. This post was a pleasant surprise. I'll be honest, Quicksilver is pretty much the only reason I want to see the new X-men film. If it's great, well, that's a bonus too. And I can admit, I played World of Warcraft for years... fun game... but I have no desire to see the movie. Looks just awful. The only consolation of going through crap is that you will have something absolutely brilliant to write about. And, if someone else is going through a bad time, empathy puts you in their shoes and again you can write about it, but from a different perspective - the outside, looking in. glad you quoted Liza - she just doesn't know what a good writer she is, and she makes a good point. Movies - based on some critic reviews I had moved XMen back, now based on Alex - I'll go see it. Your summation of upcoming flicks is hysterical and no doubt spot on. I've been aiming for the "little" flicks - go see Love & Friendship!! Hard to believe it's June - I'm ignoring insecurity and embracing summer lazy (outside of actual real paying work) Ha! What a surprising take on several of the new movies coming out. I'd like to see Finding Dory, but it will be a surprise if it lives up to Nemo. One movie reviewer said they took 13 years after Nemo to develop Dory because they wanted to do it right. Thanks for sharing the comment from your reader. Excellent point. I also enjoyed X-Men: Apocalypse. Quicksilver's scenes are a great distraction from the story as they are done with a lot of fun in mind. I also liked seeing Olivia Munn as psylocke, but I think Angel was my least favorite of the on-screen mutants. I do like Super Hero films. But it's an odd thing. I'm more of a DC comic book person, but I have to admit something. The Marvel films are so much better than the DC. I'm not sure why, but I love the Marvel films. In fact, I embarked on a new project. I went to my favourite second hand DVD store I picked up all the Marvel films I needed to fill in the gaps and over the next two months, I endeavour to watch them all. I'm excited because there are a few I have never seen. Though when I'll find time to watch all the films is beyond me. I need to make more time for writing, not watching films. As it stands, I'll probably not get to see Apocolypse till it finally arrives on DVD. I'm sad, but true. Still, I'm hoping to get around to seeing Civil War in the theatre. Only time will tell if I actually do that. Didn't grow up an X-Men fan, but I'm looking forward to this movie. I like several of the June movies on your list. Dory will be a for sure thing. My kids adore the blue fish. And I do want to see X Men too. I never agree with three critics. I will go because I want to go and something I saw in the preview caught my eye. Thank you Alex for the great post today. Hard to believe we need another installment of Independence Day, but then Hollywood is known for its lack of imagination. Sand Castles, no, I haven't. Brandon, a little like the force? Roland, they need to let Edwards do what he does best. Tyrean, you do make awesome comments. Brandon and Bryan, it does look awful. And you will so dig Quicksilver's scene. Even better than the last film. Joanne, just go and enjoy the film. Michael, I can always look at Olivia Munn! Jeffrey, Marvel does do them better. Hope DC can catch up. Make an effort to see Civil War in theaters though. So worth it. Finding Dory is just about my speed. And of course, who doesn't love Ellen DeGeneres, she's so funny. I hope it's good. Loved Finding Nemo too. Thanks for the updates, Alex! The Great Barrier Reef is in trouble. And an enterprising eleven year old has contacted Ellen DeGeneres to lobby our government to set it right. I hope she is successful. I hope there is time left. I also dug X-Men: Apocalypse! Much better than critics led me to believe. Clunky at parts and certainly overpacked with characters, but I enjoyed it all the way through. Really dug Jean, Scott, and Psylocke. Did not go out to the movies but did watch The Choice on digital. I have Gods of Egypt to watch. I will probably also rewatch the new Star Wars and bonus features. I have been reading more this month, plus beta reads overextended a little but still got'em done. I'd like to see X-Men. I own them all and will own this one probably when released on digital so have the whole collection. I loved Independence Day overblown or not, and a little over focused on the American slant, but I still loved it and want to see the new one. I hope they don't spoil it. Insecurity? Lack of confidence, feeling helpless to change anything and the doldrums. Other than that, I'm great. LOL. I'm good really just on the downside of the roller coaster hill and it was steeper than I thought. Ninja Turtles...yeah, I'm thinking they've worn out their welcome. Probably just me, though. Now Warcraft I want to see! My 12yr-old already asked to go see it, so naturally I thought he meant with me. Uh...nope. He was like, "I'm not going to the movies with my mom." Me - sad face. My insecurity of the month is to let my manuscript go and stop editing myself into oblivion. Happens every time a finish a MSS. I need to watch X-Men already. Ha! Did you have a wonderful time away? I'm looking forward to Independence Day. Hi, Alex! Totally forgot about this being the first Wednesday of the month again. I haven't seen any of the movies. Really, I seldom go to the theater or watch much TV. Too busy reading and writing, I guess. I do watch a DVD every now and then. Have the last Hunger Games to watch, along with the Outlander TV Series, since I don't have cable. Teenage Mutant Ninja Turtles... Sigh. I remember the first time I heard of them. Back when I worked at the toy store, someone came in asking for them. And I couldn't get my head around the words coming out of their mouth. I still don't get it. Since I missed your post last week, I just have to agree with what the others have said about empathy. I also think knowing how to tell a good story is more important that living through a traumatic ordeal. Sure, whatever you've gone through or experienced can be used in your writing, but some of my favorite books are just about everyday life told well. So many good movies are out this summer. And X-Men is on my list. Hope enjoyed your break! Elephant's Child, good for her. Juneta, I know I'll buy it when it comes out on DVD. And saw that Gods of Egypt was now available to watch. I am curious. Liz, it started as a joke! Haven't seen X-Men yet, but I want to. Didn't figure out #1 of the trivia. I'll admit I'm totally looking forward to Finding Dory; it's the teacher in me. My insecure is myself this month. I dropped the ball, but I'm working on picking it back up. Honestly, I'm not even sure we saw the last X-men movie. Maybe I'll get it from the library. :) I like them, but it's like too complicated for my little brain. I think I got some of the trivia right! Dory & Independence Day should be fun at least. Need to make time to see X-men this weekend! I like the look of the X Men. I hope it will be a pleasant surprise. Good to hear everyone agreed empathy was more valuable than experience. Imagination is powerful, but empathy makes it believable. Love your comments about the upcoming releases! *LOL* I might see Angry Birds this week, but I'd rather see Captain America! I finally watched The Revenant, and thought it excellent. Though it could have been shaved down by 15 or 20 minutes. You didn't like the first Independence Day? I did, but I'm super easy to please when it comes to action/special effects movies. I'm hesitantly looking forward to Conjuring 2, but am afraid they're going to ruin the pleasant surprise we got in the first one. I love Liza's comment! There's so much truth there. I'm probably not going to make it to the movies this month. I've got a lot of editing and pre-release stuff to do, plus I have kids who want to learn to ride bikes without training wheels and learn to swim this summer. I'm going to be pretty busy. I'll catch up with movies in a few months. I am fans of Ed and Lorraine. I can give a movie review. I just saw watched a movie from 2000 and it was new to me. Thank you so much for stopping by, and the review of Xmen, but actually I was kind of looking for a review on finding Dory, and to find out if it was any good or not. I thought maybe you probably wouldn't have seen it it being a cartoon and all, but Xmen is another movie I was hoping to get a chance to see, and now with your review I will definitely go see it with the hubby. Thanks much!!!! hugs and have a great week!!! I must surely have more empathy than I need. That's probably why like King I like to make my characters sympathetic and then let the monsters loose. Yes, empathy is important and I like that comment from Liza. I have actually been thinking a lot about imagination this last month and its importance in writing. When I flipped the calendar to June, this month's very appropriate quote was: "The true sign of intelligence is not knowledge but imagination." I want to see Finding Dory, and even though I really HATE being scared and generally don't like horror movies, I enjoyed The Conjuring and Ed and Lorraine. So maybe I'll make myself brave and go see The Conjuring 2. I like the old X-men with Patrick Stewart. Congrats to Lori and Jack on their new releases! About the only insecurity that I had for the month was whether or not I would be able to get a cover for my book. I wanted to try someone new, but had a small problem in getting hold of them. I did eventually succeed, but at the same time, I got a few leads from other people for graphic designers as well. Not much of a movie goer these days, especially when ticket prices are somewhere in the neighborhood of buying a half-tank of gasoline for the car. I usually wait until they come to the pay movie channels. Patricia, Psylocke - very close. Christine, go see Civil War. Shannon, I did like it. I just know the second one will be even more over the top. Gail that made me chuckle. Marie, we see all the animated films. When it comes out, I will post a review. Elizabeth, I like that quote. Lexa, I'll keep you informed. GB, that's why we always to to the matinees. What happened to the Teenage Mutant Ninja Turtles? They haven't aged well. Have they, Alex? Hope you enjoyed your mini holiday, Alex! 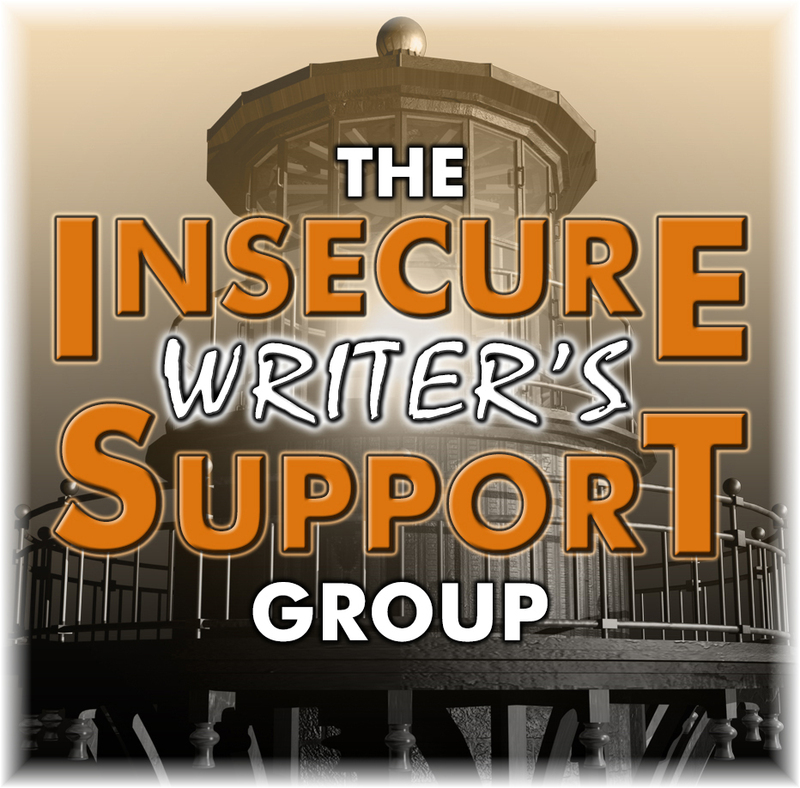 Writing insecurity never ends...just as you manage to deal with one thing, then another rears its ugly head. There is much to be said of experience and it's impact on the writing an author produces. There are times I'd rather be pulling from my imagination only instead of knowing the deeper, darker truths that I have touched upon in some of my stories. Finding Dory is definitely on the radar. My kiddo and I can't wait! Empathy is an important trait for a writer. Not only to get inside the heroine and heroine's head to understand them - but also the villain. What makes that character tick? It's often more fun to investigate that. Magneto and Quicksilver were indeed the highlights. The thing about writing is the mantra, write what you know. Not everyone has the pain. But everyone has experiences. The less authentic your writing is, the less successful you've been in writing what you know. My kids and I are looking forward to seeing Finding Dory. I hope it lives up to all the hype. We'll have to see TMNT. I have an 8yr old. ;) I haven't seen any of the XMen movies, but I bet I'd like them. Sorry I'm a little late getting over here!! I'm so excited about all these great movies coming out! I think the X-Men movie looks awesome as well as the new Independence Day and Now You See Me. I know my kids will love Finding Dory. Huge congrats to Lori on the release of her sequel!! Good insight from Liza. Life does provide great fodder for our writing. That's an excellent quoted comment by, Liza. 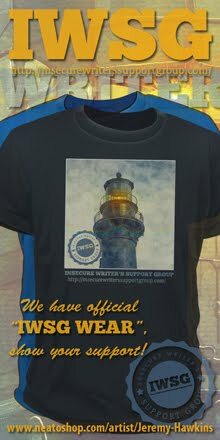 "IWSG" and it good to note you can access the group via so many social notworking, sorry, networking sites. Been ages since I went to see a film so I cannot comment. Well done to Lori and Jack. Here's to you and your clones, Alex. Sometimes it's fun to just sit and enjoy a good super hero movie. I'd like to see something original this summer. Most likely that will happen on the stage and not film. Hollywood is stuck in a rut. I've met the Warrens (The Conjuring 2) way back when...if you didn't talk to them about ghosts & spirits, they reminded you of your grandparents. Spot on assessment of Independence Day (#1), ha ha. Have a great weekend, Alex! (Son came through surgery great; mom exhausted for no reason, lol). Hmmmmm ....methinks I see a pattern in your sequel reviews. Special effect can make an average movie or even a bad one. Often it's the supporting cast that help make a movie such as the psychotic penguins or the monkeys from Madagascar. Or the sloths from Zootopia. Or the three-eyed little toy alien squeeze toys (you are our master from Toy Story. The octopus from Finding Dory could be such a character that helps vault this movie forward. I loved Finding Nemo and would be interested in seeing Finding Dory. I love your quote because it is so true. Everything that takes place in and around you can be counted as a positive learning experience and broadens your writing. I have also Trouble By Any Other Name on my TBR list. My hubby enjoyed X-Men. I'm waiting for Ghostbusters. That looks like it'll be funny. I loved Conjuring. I'm hopeful the second one won't disappoint! I have enjoyed the X-Men franchise enormously, but then I don't read the comics. So there is that. I've liked it even better since they introduced the younger versions of the characters. I look forward to seeing this movie. I've been considering seeing Apocalypse, but my problem is that I haven't seen ANY of the more recent X-Men's, so I know I have to play catchup. Cherdo, good to hear! And cool you've met the Warrens. Robin, I'm a DC guy, so I've not read the comics either. Robert, it would be easier to follow having seen the other two. Going through bad times helped me develop the thick skin I needed for rejection and gives me different viewpoints that I can write about. I have much empathy for others. If you've felt it, or you feel it, you can write it. I wouldn't be able to write something someone a situation without sOmEthIng being fact. Ooooo, been waiting for The Conjuring. At last!!! I like Vera Farminga (sp?) in whatever film or TV show she is in: I find her combination of vulnerability and smoking hot fierceness fascinating. I used to act to I study her whether she is appearing in Bates Motel or in a film--looking forward to seeing Conjuring 2. Sounds like it was a great discussion over your blog post. I do believe suffering is necessary for great art. I loved the movie Midnight Run! But superhero movies aren't my thing--I'm way tired of them. I was never able to get into comic books, but I did love the X-Men cartoon series as a kid, and I have loved every movie. For some reason, I prefer my super hero's (and super villians) on the screen as opposed to the page. I'm like that with spy movies too. Hi Alex! Hope all is well. I'm dying to see the Xmen movie. Thanks for the review. The new releases look exciting. I'm a bit behind posting for IWSG but I'll get on in shortly. I agree you can Chanel your experiencing into writing. So true! Yes, undoubtedly empathy is very important for all writers of all the literary genres! I don't know how I missed this one! I could have sworn I commented on it. Ugh! I used to love June because that was when all the good movies came out. I don't make it to the movies very often anymore, though! Ha, I've got plenty to channel into my writing at the moment after the last couple of stressful weeks. All I need now is the time. Sigh. Good to hear about the XMen movie. I plan to go see it... soon hopefully. That's a lot of sequels they've got on deck for June movies! As much as I like book sequels, movies are usually better-off left alone instead of revisited over and over again. Loved X-men Apocalypse. And I'm in agreement about Quicksilver. His scene in getting everyone out of the school was one of the best in the movie. That I'm still humming the song "Sweet Dreams." I'm not too sure about TMNT Out of the Shadows but my boys are looking forward to it and Finding Dory (me too). But, I have my fingers crossed that the Independence Day sequel Resurgence will live up to the anticipation I have for it since I first saw the trailer.